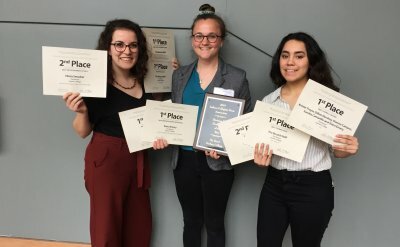 Twenty-one Goshen College students collected 34 awards at the Indiana Collegiate Press Association’s (ICPA) annual convention on March 30, as The Record was named the “Newspaper of the Year” for the second consecutive year in the college division. 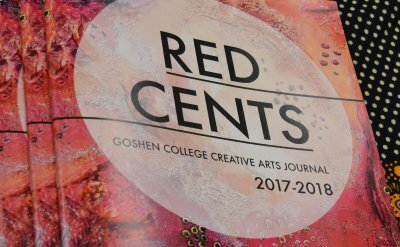 Seven Goshen College students earned literary awards at the Indiana Collegiate Press Association’s (ICPA) annual convention on March 30 for their work with Red Cents, Goshen’s literary arts journal, including first place awards for Best Overall Design and Best Single Issue. 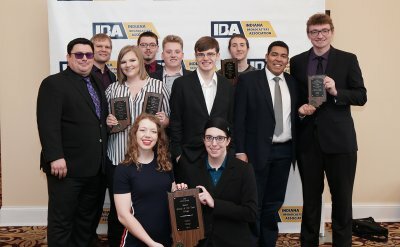 For the fifth time in program history Goshen College was named “Radio School of the Year” by the Indiana Association of School Broadcasters (IASB). 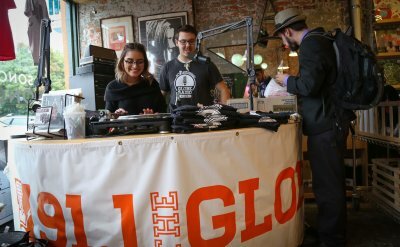 Students from 91.1 The Globe earned 11 awards, including three first places honors. Globe TV student staff picked up seven awards. 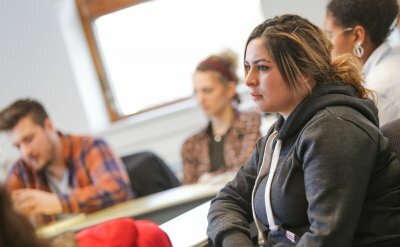 Goshen College’s social work program has been named among the top 50 social work undergraduate programs by the 2019 Social Work Degree Guide, an online resource for finding up-to-date information about educational and career options in social work. 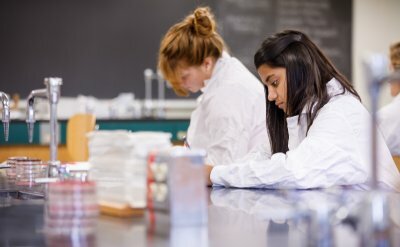 Goshen College has announced the 33 recipients of the school’s 2019-20 top scholarships for incoming first-year students. Eight college-bound students are being offered the President’s Leadership Award (PLA), which is the college’s top merit scholarship. The PLA is given in recognition of outstanding academic performance and promise in potential leadership. 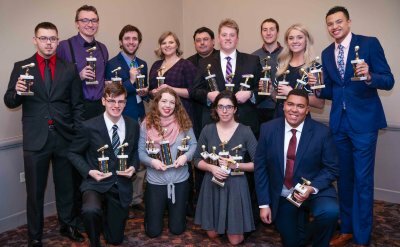 Goshen College broadcasting students won five national first-place awards from a record-setting 34 nominations at this year’s Intercollegiate Broadcasting System’s (IBS) Multimedia Conference on March 3, 2019. 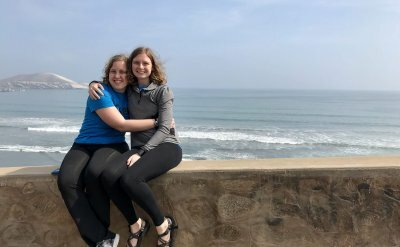 Renee and Anne Buckwalter, twin seniors from Wellman, Iowa, will both be honored by the Indiana Association of Colleges for Teacher Education with the Outstanding Future Educator Award on April 12. Broadcasting students from Goshen College’s 91.1 The Globe, Globe TV and FiveCore Media were nominated for 34 national awards in the 2019 Intercollegiate Broadcasting System (IBS) College Media Awards, including the prestigious "Best College Station in the Nation" award for the ninth consecutive year. 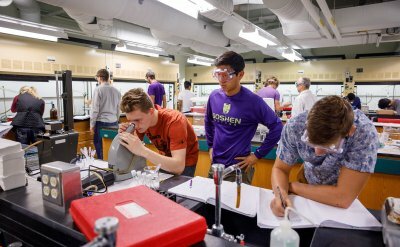 Goshen College recently recognized 211 undergraduate students for excellence in academics on the 2018-19 fall semester Dean’s List, along with 51 students in adult degree completion programs for the summer 2018 term. 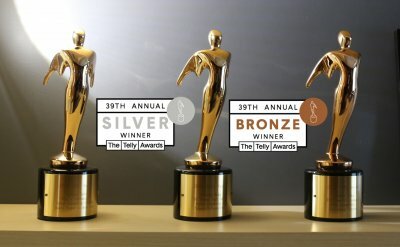 The Goshen College Communication Department’s video production company, FiveCore Media, won four national Telly awards this year for their students’ and faculty’s work on various client projects.